Seneca County, NY (January 9, 2019) – A rollover crash that took place on Route 96 Tuesday afternoon, January 9, is responsible for claiming the life of a teenage passenger. The tragic accident was stated to have occurred at around 4:35 p.m. in Seneca County, according to officials. Authorities reported that 35-year-old Merlin Horst, of Romulus, had been traveling along Route 96 northbound when he left the roadway for unknown reasons, subsequently overturning the vehicle after striking a ditch. Horst had been driving with one passenger in the vehicle, identified as 19-year-old Enos Hertzler, also of Romulus. Emergency medical crews arrived at the scene where they sadly pronounced Hertzler dead from his injuries. Horst was reported to have undergone treatment for minor wounds at the scene. Police are currently investigating the events that led to this accident. No further details have been provided at this time. Above all else, our kindest and most genuine condolences are extended to the loved ones of Enos Hertzler, first and foremost. Following a car accident in New York, it is immensely important to know that as the victim of someone else’s actions or a mechanical failure beyond your control, you may have substantial rights. Our sympathetic New York accident attorneys at Hach & Rose have devoted their lives to helping the victims of negligent drivers and other entities. As members of the community, we are wholehearted about supporting those who have wrongfully suffered a devastating loss as we fight for the compensation that they deserve. 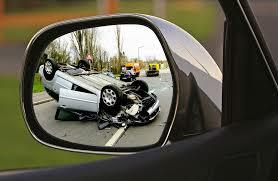 We understand the physical, emotional, and financial hindrances that commonly follow a New York car accident. If you have lost a loved one in a collision due to another party or other entity such as a manufacturer, please don’t hesitate to call 212-779-0057 today.